Golden Anniversary, Golden Wedding, Gold Favor Boxes, Pink and Gold. 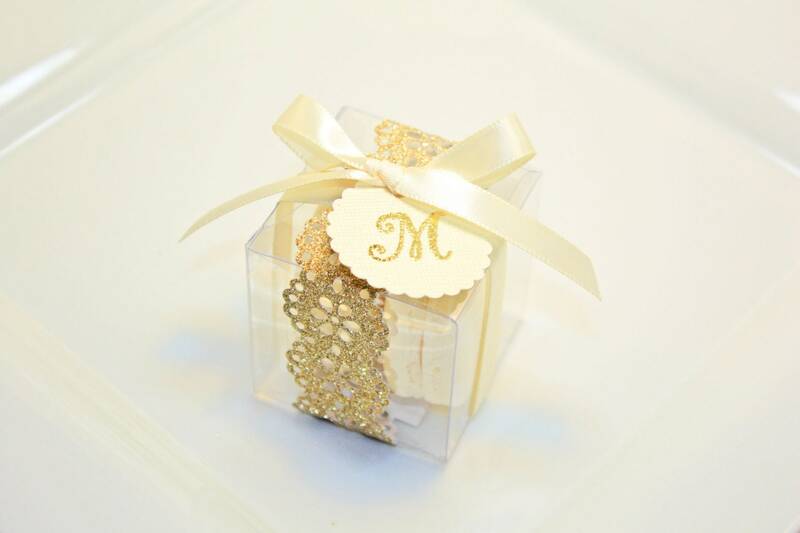 Two French Macaron of your choice will be placed in a lovely transparent 2"x2" favor box, tied with and elegant handmade glittery gold doily, favor tag and satin ribbon of selected color. 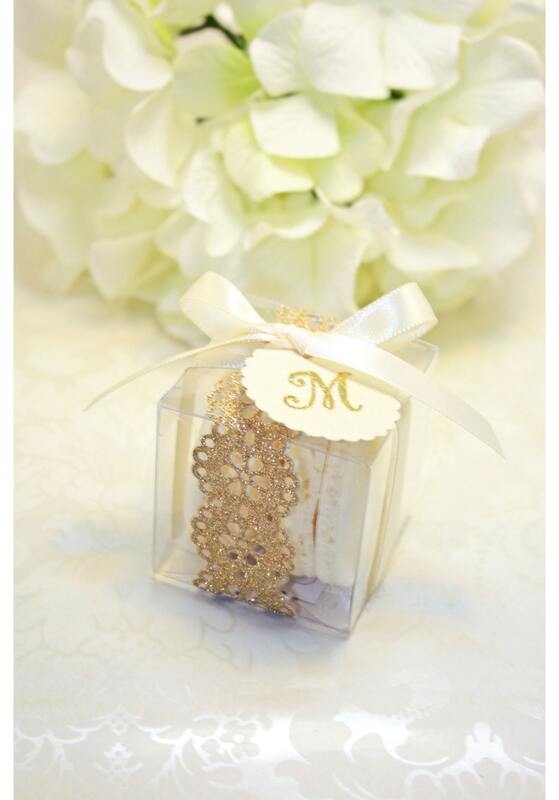 All boxed favors will arrive UN-assembled due to the fragile & delicate nature of the baked goods and the favor boxes. A simple assembly will be required and one sample of fully assembled box (no cookie inside) will be included. 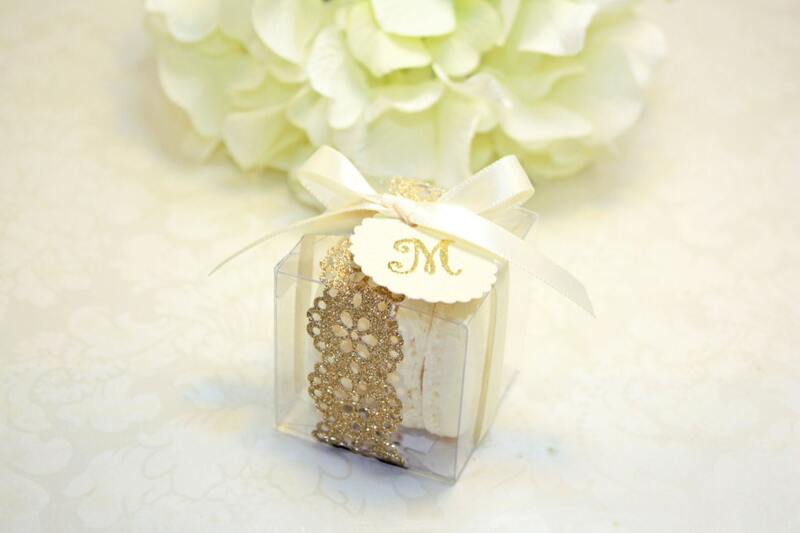 30 - 2"x2" transparent boxes, 30 satin ribbons, 30 handmade doily color papers, 30 favor tags and 60 of our French Macaron favors, each measuring approximately 1.7" diameter. ♥♥ Refrigerate upon receipt, best consume within 5-7 days of delivery. Can be frozen for up to 2 weeks. Let sit unwrapped at room temperature for 5-10 minutes before serving!